The Defy Stove Model 731 is still one of the best Multi-function stove, it is sought after by domestic caterers and weekend chefs alike. The big oven makes big catering orders a breeze and the weekend chef can created huge succulent roast for their family and friends. The Thermo fan function is a great energy saver while giving magnificent baking results with the heat sources (heating elements) coming on less frequently to produce a even hot air flow in the oven. 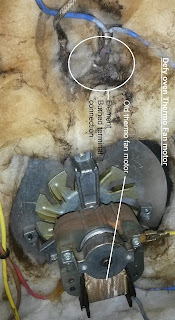 Now the reason for this post is tell you more about the Thermo-fan in the oven and quick a way of spotting when fan is busy failing. Once the temperature start going haywire and the oven is playing up clients also start noticing that their oven doors aren't that hot. Don't worry about this it is just another great feature of the Defy 731 - it has a Air cooled oven door. 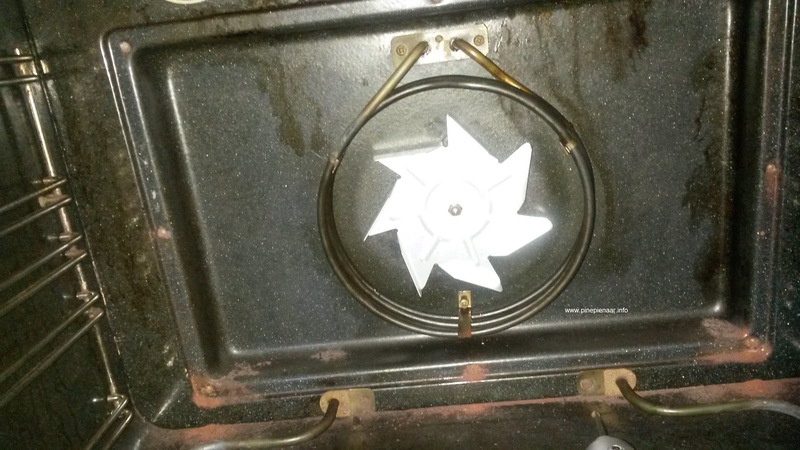 The Oven-door has little air-slots in the door that when the hot air starts to rise, it pulls cold air from the bottom though the double oven door glass. This constant flow of fresh air movement keep the door cool while keeping the hot-thermo-air inside. 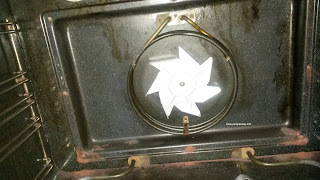 I better stop raving about the Defy 731 stove because you might think I am getting paid for this post but it's just that I love with this simple looking stove with all her hidden features! There is so much more I can tell you about this amazing-beautiful-easy-to-operate-oven. Feel free to send me an e-mail and we can chat for hours about oven creations. The main feature of this motor is that the impeller turns around in 360 degree circles to expel the water. (Impeller is the little blades in a rotating sharft that scoops water in a direction) This type of motor-action is ideal for a very powerful pump to drain water fast. Because this motor only turns in one direction it is so much easier for everyday articles like; hairpins, nails coins and curtain hooks to lodge themselves between the pump-blades. When the pump impeller cannot turn the motor overheats and burnout. This pump motor drains the laundry water by vibrating the impellers - there is no turning action. Its much harder for something to lodge inside the pump and impeller-blades because of this vibrating-action. 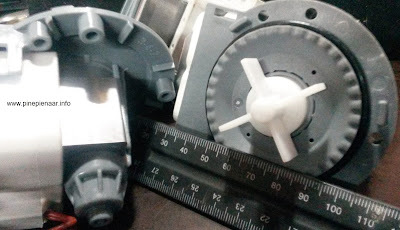 The magnetic pump motor has a shorter operating life compare to the induction pump motor. Water drain during rinse cycles but once it gets to finale rinse the pump is all heated up and then it does not want to drain. Hope this information will help you diagnose your appliances, feel free to contact me if you should need more.